Asbestos vs Mesothelioma: What's the Difference? Home Blog Mesothelioma Asbestos vs Mesothelioma: What’s the Difference? As a worker and consumer, you rely on your employer and government regulators to protect you from occupational harm. At the same time, the CDC reported that in the most recent year available, doctors diagnosed somewhere between 45,872 and 91,745 new cases of cancer caused by occupational hazards. Out of those cases, around 3,000 were mesothelioma. If you work in an industrial setting or even if you watch TV, you have likely heard the term mesothelioma before. You also probably heard its linked to asbestos. Do you know the difference between asbestos vs. mesothelioma? Keep reading to learn how they differ and whether you need to find an asbestos attorney or a mesothelioma law firm. People often refer to asbestos as though it is some sort of dangerous alien that traps innocent people working in industrial settings. Asbestos is a fibrous mineral that is pliable but also resistant to chemicals, electricity, and heat. It made an excellent insulator, and it also strengthened consumer products like cement, plastic, paper, and even cloth. Throughout the twentieth century, asbestos was a common ingredient across a wide range of industries. It endangered both workers and those who lived near them. It also created environmental hazards because asbestos is both toxic and easily broken down into microscopic fibers impossible to spot. White asbestos is the most common with blue and brown occurring less often. Yet, there are also three more categories of asbestos recognized by the U.S. government and the Environmental Protection Agency. Why Is Asbestos a Threat? 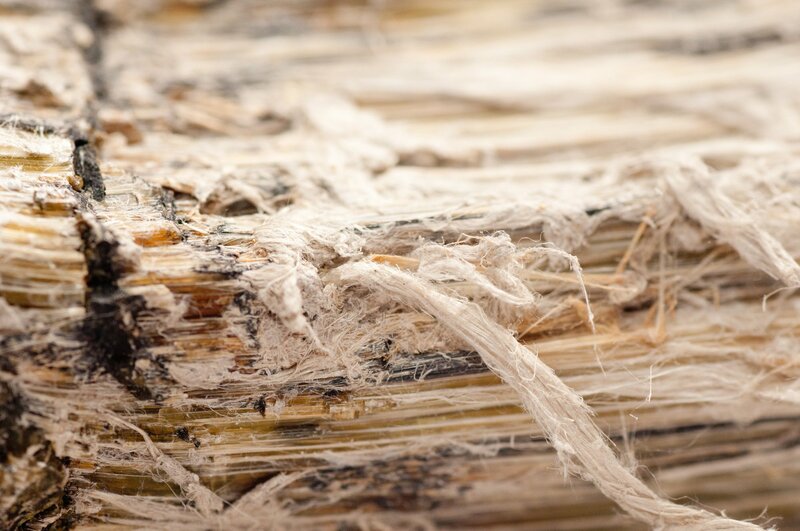 Asbestos is highly toxic, and over time, people who have fibers trapped in their body develop diseases. Unfortunately, research showed links between asbestos and respiratory diseases and cancers long before activists made the link clear in the public consciousness. Do We Still Use Asbestos? Asbestos became a bogeyman in the 1990s when it became clear that it was the common thread between a generation of aging workers who found themselves with cancer. Despite what is known about this mineral, the United States never banned asbestos. The EPA regulates it as an air pollutant under the Clean Air Act of 1970 Its use is also limited by the Toxic Substances Control Act. The United States is almost entirely alone in its failure to ban asbestos. Sixty other countries removed it from use. Despite its dangers, asbestos never went away and a weakening of EPA regulations could see it return as a more prominent threat to workers, their families, and consumers. Mesothelioma is a cancer caused by exposure to asbestos. The prevalence of the disease is low, and the American Cancer Society reports only 3,000 new cases each year. When it does occur, it’s remarkably aggressive. When a person either inhales or swallows asbestos fibers found in the air, those fibers get stuck in your lungs or alternatively in your heart or abdomen. Once those fibers lodge themselves in the lining of your organs, they damage the cells and create inflammation. Tumors may then form on the lining, and often, they are cancerous. Exposure to asbestos causes changes in your DNA. Abnormalities in your DNA cause cancer because they change the way your cells perform basic life functions like growth, reproduction, and death. Cancerous cells are a loose term for abnormal cells. Not all tumors are malignant, but when they are, the disease becomes malignant mesothelioma. By the time you experience the symptoms of mesothelioma, you likely already have tumors, and those tumors spread. Early diagnosis is key for slowing tumor growth and improving your prognosis. Catching mesothelioma in its earliest stages offers the best chance for survival because this type of cancer spreads like wildfire. To treat the disease, oncologists will often use a combination of surgeries and chemotherapy to improve your chances for survival. The goal is to control tumor growth, but there’s no clear treatment or therapy to cure it at present. Because the cancer is environmental and carries no genetic risk, it’s possible to identify a specific risk group. Veterans who served in any brand of the U.S. armed forces between 1940 and 1980 are at high risk of mesothelioma. The military used asbestos in a wide variety of applications during these years. Navy veterans are particularly at risk because the Navy use asbestos across more applications than other branches. Families and other members of the household also carry a secondary threat. People who worked in settings where asbestos contact was high could also carry the fibers on their clothing or even their bodies. Partners and children of workers exposed to asbestos may also find themselves exposed. Although mesothelioma is a household name now thanks to increased awareness and media coverage, people exposed to asbestos dealt with the disease long before we had a name for it. The earliest mention of a disease that seemed to be mesothelioma was in 1767 in France. Joseph Lieutaud, the earliest pathologic anatomy scientist, found what he called pleural tumors in two of 3,000 total autopsies in a study. In 1819, another French physician, Rene-Theophile Hyacinthe Laennec argued that those pleural cells could create malignancy or cancer. It took until the twentieth century to understand where those tumors came from, but even then, people continued to use asbestos. I Was Exposed to Asbestos – What Do I Do? The average mesothelioma patient is in their 60s or 70s. It may take 20 to 50 years for those asbestos spores to do enough damage to generate cancerous cells and malignant tumors. Being exposed to asbestos is fairly common given its use in construction and engineering. Exposure also doesn’t guarantee health problems. The CDC notes that issues arise when you are regularly exposed to a significant amount of asbestos. Underlying lung conditions also play a role. If you know you experienced exposure to asbestos without protection, you should talk to a physician or specialist quickly, particularly if you experience respiratory symptoms. If you know you were in an exposed scenario once, start by taking a shower and washing your clothes to remove fibers from your person. Most micro-exposures won’t carry symptoms, but cleaning up should eliminate the risk of repeated exposure. Failing to do so is a violation of OSHA, and you should seek legal help. If you currently or previously worked in a place where asbestos was prevalent and you believe your employer did not adequately protect you, then you should contact a lawyer. You should also contact a lawyer if you receive a mesothelioma diagnosis. Both groups of people have the potential to recover substantial damages from either their former employers, the company manufacturing asbestos, or from a trust fund designated for victims. The difference between asbestos vs mesothelioma is that asbestos is a mineral used in industrial settings and mesothelioma is a type of cancer caused by asbestos. A one-off exposure to asbestos doesn’t mean you will see severe health problems later in life. But regular exposure to high levels increases that likelihood particularly if you have respiratory problems already. Asbestos is dangerous, but the U.S. government declined to ban it. Because it is in use, it’s important to understand the consequences of exposure and how to avoid it. If you think you encountered asbestos, talk to your doctor first to create a record. If exposure was unlawful or the result of negligence, talk to a lawyer. Click here for a free case review to see what options are available to you. If you have any questions about this article or want to visit with a lawyer for free, call Stephen at (225) 222-2625 or contact us here. Or if you prefer, feel free to take advantage of our live chat system. How is Mesothelioma Diagnosed and Are There Treatment Options?